When the weather in the northeast turns cold, my thoughts migrate south in a snowbird fashion. 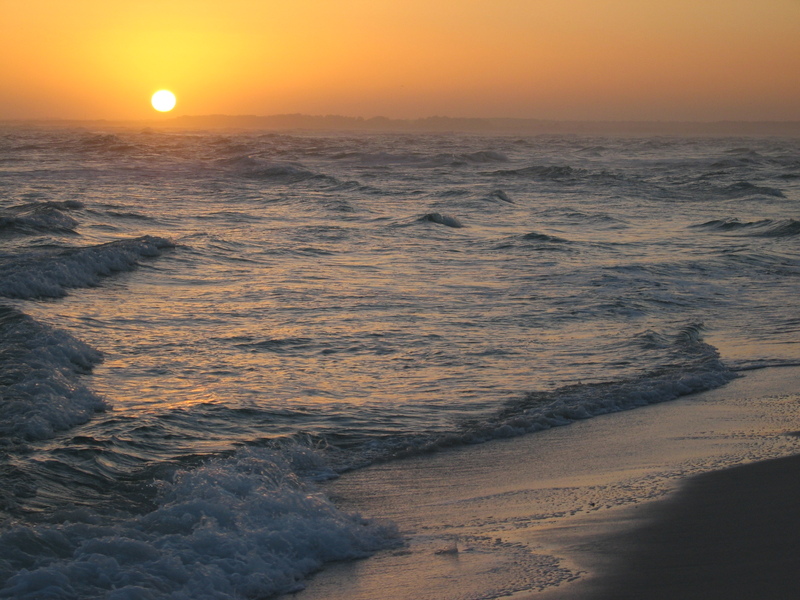 Today I’m thinking about one of my favorite Florida escapes – Pensacola. More specifically, I mentally teleport to the Dunes hotel sitting on a narrow strip of Santa Rosa Island. It faces the Gulf and is separated from the mainland by a long sound, which means that every guest room faces the water. I still remember walking into my room and being greeted by the soft humming of the ocean surf, so close it seemed like I could just outstretch my hand and touch it. And I couldn’t believe my eyes when I saw dolphins playfully jumping between the waves just offshore. Santa Rosa is a perfect escape. The site of Spanish arrival in the early 16th century, this 40-mile barrier island today belongs in part to the Gulf Islands National Seashore with the landscape ranging from gleaming white beaches and rugged maritime vegetation to historic Fort Pickens on the island’s western tip. Built in 1834, it was the largest of four forts guarding Pensacola Harbor. 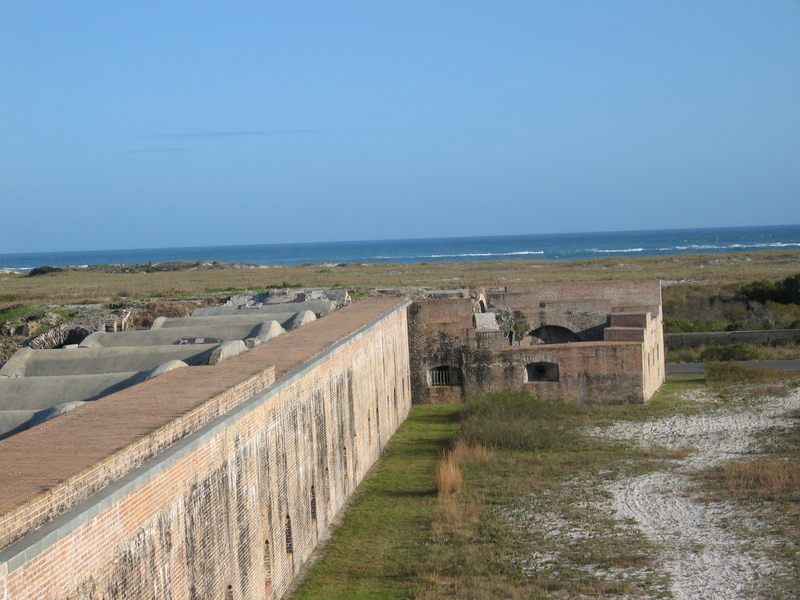 During the Civil War, Fort Pickens was reinforced the day after Fort Sumter surrendered, later withheld the Confederate assault in the Battle of Santa Rosa Island, and became one of the few southern forts to continuously remain in Union hands. The Fort stayed under military use until after WWII when its old fortifications and gun batteries became obsolete and now is a part of the Seashore. To get from Santa Rosa Island to Pensacola proper you get to drive oven an amazingly long bridge across the bay – one of those with a warning sign to check if you have enough gas in your tank. The views from the bridge by themselves are worth taking a small break from the beach to explore this historic town. Pensacola was first settled in 1559 by Spanish conquistadors led by Tristán de Luna and is believed to be the first permanent European settlement in North America. But only two years later a hurricane destroyed the settlement and the Spaniards left. Instead, Saint Augustine, founded 6 years later, became the oldest city on the continent. The Spaniards returned in 1698 and Pensacola has since changed hands multiple times, with the flags of Spain, France, Great Britain, the U.S. and the Confederacy flying over the harbor at different periods (hence the nickname The City of Five Flags). Known as the Western Gate to the Sunshine State, Pensacola is the “other” Florida to me. For one, it’s in the Central time zone but it also feels different culturally from Miami or Tampa. Part of it is the size – Pensacola has only about 50,000 people and that delightful small town feel. It’s also decisively less hispanic than other parts of Florida, more Southern in character. My fondest memories of the place have to do with food, which not surprisingly centers on the bounties of the sea. The Fish House is the winner in my book. Overlooking the dock, it has a great selection of seafood as well as Southern specialities. The close second, Crabs, sits right on the Santa Rosa Island beach and has a great selection of, well, crabs and other goodies. A beverage not to miss is Voodoo Juice Bucket – literally a small bucket with 4 different flavors of Cruzan rum and tropical juices. And you get to keep the bucket (if you’re sober enough to remember). The Dunes hotel unfortunately suffered the brunt of Hurricane Ivan’s wrath only a few months after I was there in 2004. Katrina didn’t help a year later, slowing down the reconstruction effort. 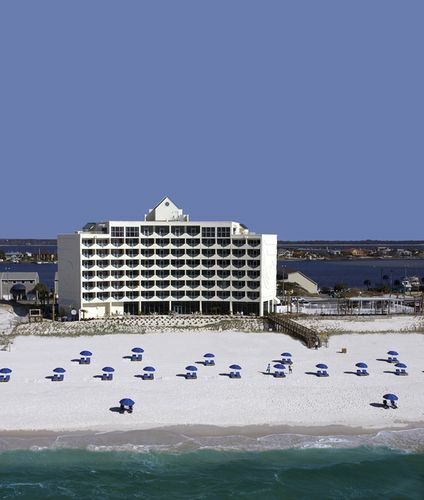 The Dunes stayed closed for a long while but I hear it reopened as Holiday Inn Express Pensacola Beach – I hope it’s still as great a place to escape the winter blues as before.